This Dar Nile Art Deco style table lamp in polished chrome with ivory shade features a geometric design two piece stem and rectangular ivory faux silk lamp shade. 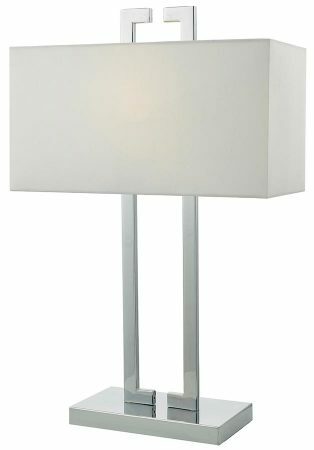 An elegant table light with distinct Art Deco influences that combines bright chrome and ivory to add a touch of luxury to any room in the home. Suitable for contemporary settings too and great for a modern bedroom, hallway or lounge and fitted with an inline rocker switch. There is a matching wall light in the Nile range that can be viewed below. Class 2 double insulated no earth required. 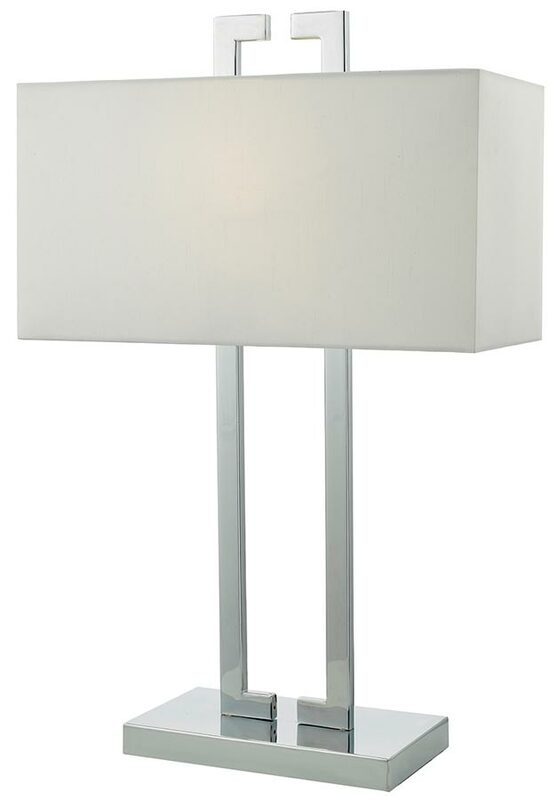 Dar lighting is widely recognised as one of the leading suppliers of a full range of innovative, quality lighting products such as the Nile Art Deco style table lamp in polished chrome you see here.